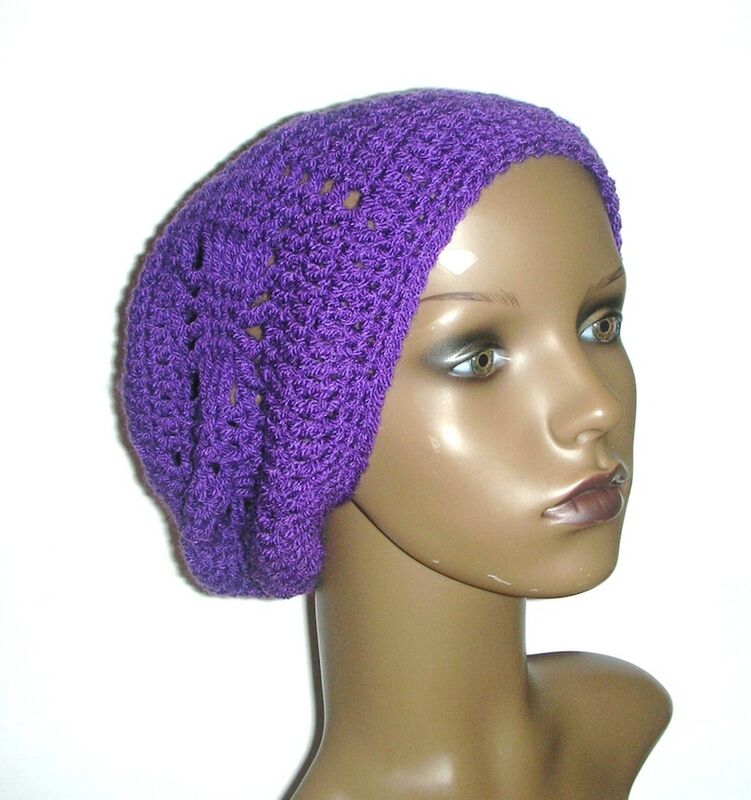 This spider-web patterned Slouchy Beanie is crocheted using DK weight yarn. The light yarn and airy pattern makes it suitable for both cool and warmer months. There are directions for 3 lengths, so it's suitable for short or long hair/dreads. This pattern will fit the average adult, and if needed you can add a drawstring to cinch it tighter. The drawstring instructions are included, as well as the visor instructions just in case you'd like to add one of those. If you'd like a tighter fit, another option would be to go down a hook size from an H/5mm to using a G/4mm hook, which would make the hat about an inch smaller in width.